I took Friday off work, and Amanda and I spent the day making our final selection on the 2014 spawnings, and chose a few to take to the South Downs Koi Show. It was such a busy day, that I didnt get decent pics at the benching, and thankfully, Mike Hughes can take a decent photo and was at the show last night! 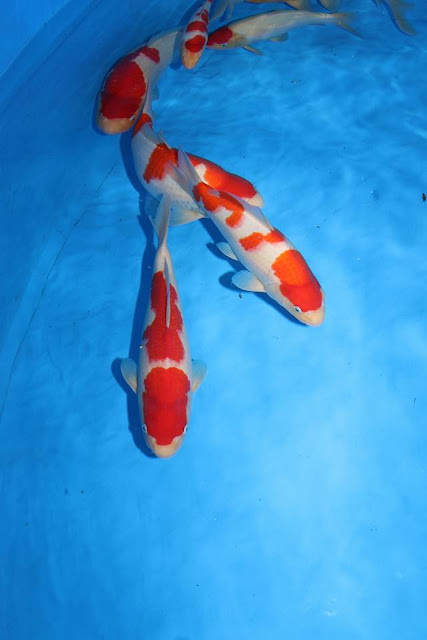 He's documenting his exhibitor experience at the South Downs Koi Show this weekend on his FB page The Koi Appreciation Community . He took some great pics of my fish and kindly offered them for me to share here. So - here's what I took to the show. 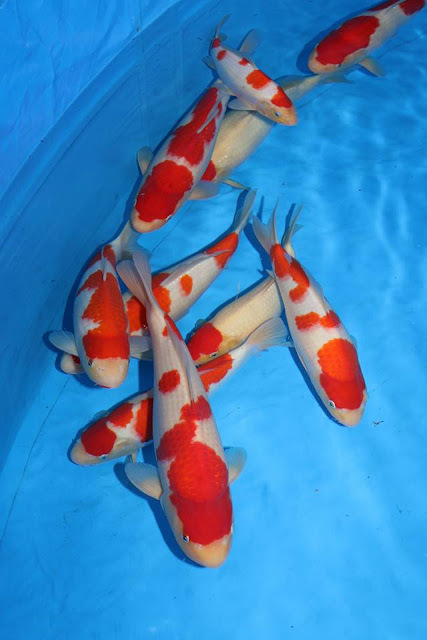 1 x size 1 kohaku, 3 x size 2 kohaku's, 1 x size 2 tancho, 4 x size 3 kohaku's and 1 x size 3 tancho. 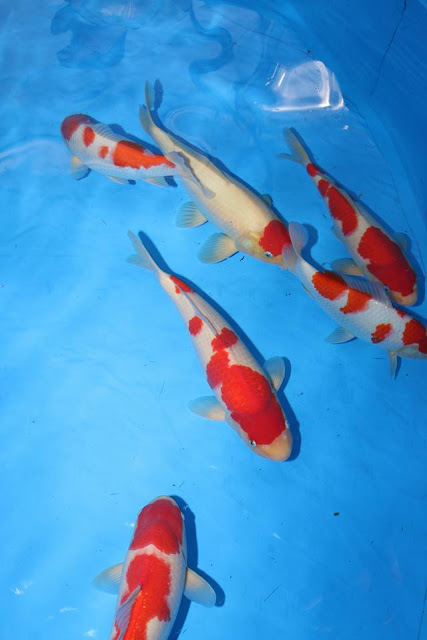 Any concerns about having too much red and white in the vat dissipated when I saw them swimming around and looking really good. A proud moment, for sure. But - now comes the nervy bit.... will any of them win a competitive prize? That's my target. Judging is happening right now - and I'll be back on the show ground tomorrow to see the results. Please say hi if you see me there, and check out vat 11 at the show this weekend - all home bred by me! Out of the 10 in the vat - 4 are from the May 14 spawning, and 6 from the July 14 spawning. Same female, different males. 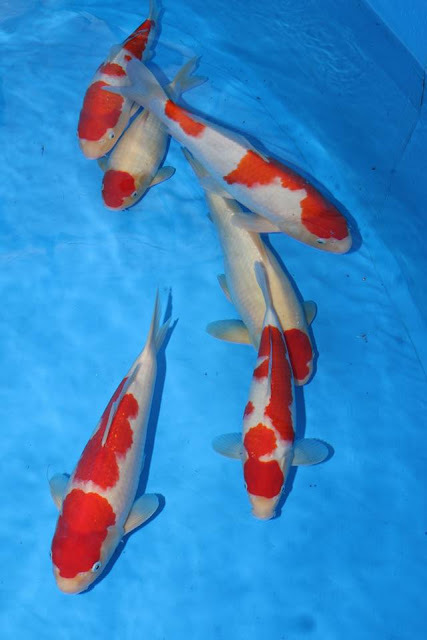 Can you separate the koi ? And, on the breeding side of things. 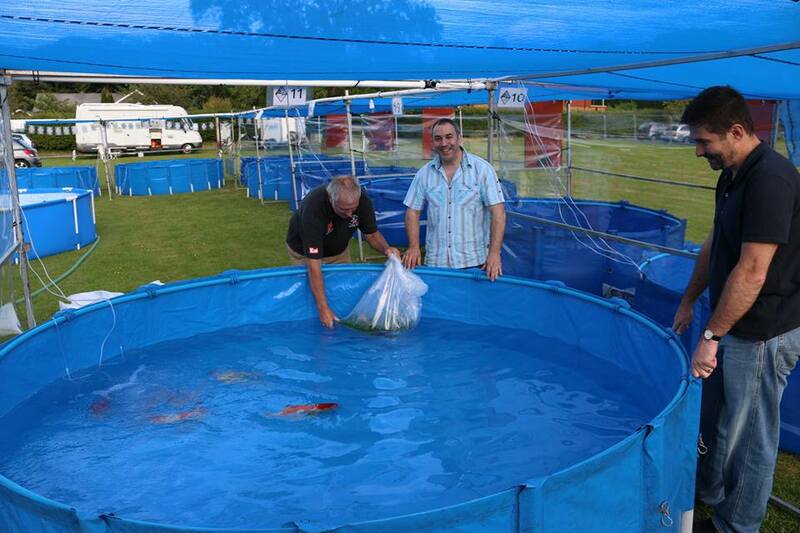 The pond that the shiro fry were in, is now relined, refilled and fertilised. Hopefully, it will cycle in time for another set of spawnings at the end of June / beginning of July.